Your mom might say you can study anywhere, but let’s be real — some places are better than others. Avoid big distractions and hunker down at one of the best places to study on campus at U of I.
Einstein Bros. Bagels in the Idaho Commons is a great place to take a break between classes and bogart a table, especially if you’re the type who prefers to study with friends and a little background noise. Besides, you can’t go wrong with hot bagel sandwiches and fresh coffee. Believe it or not, the Idaho Commons Food Court has some quiet pockets. Grab a table and a snack or lunch, and you’ve got a great place to review notes before a quiz. If you need to get away from the core of campus, head to Starbucks. The comfortable chairs, meeting table and generally low-key atmosphere are exactly what you’d expect from a 'bux. It’s a great place to put finishing touches on a presentation or finalize a design. It quiets down even more in the off-hours and becomes a great place to write the first draft of a paper or catch up on internship work. 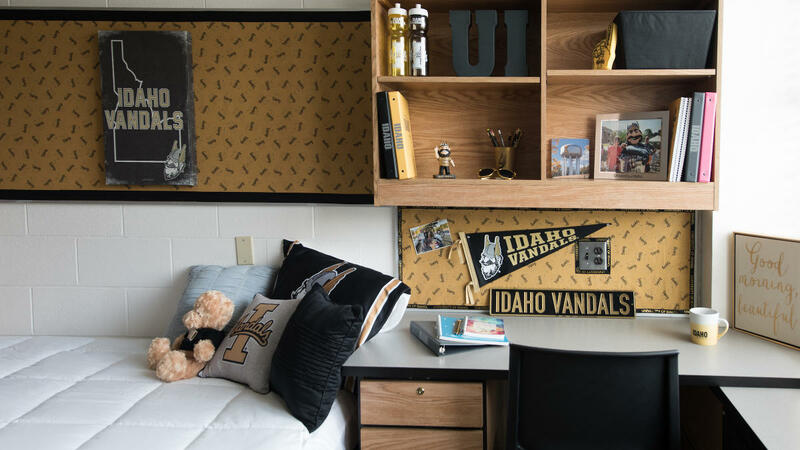 Each residence hall has a study space, or you can study in your own room! 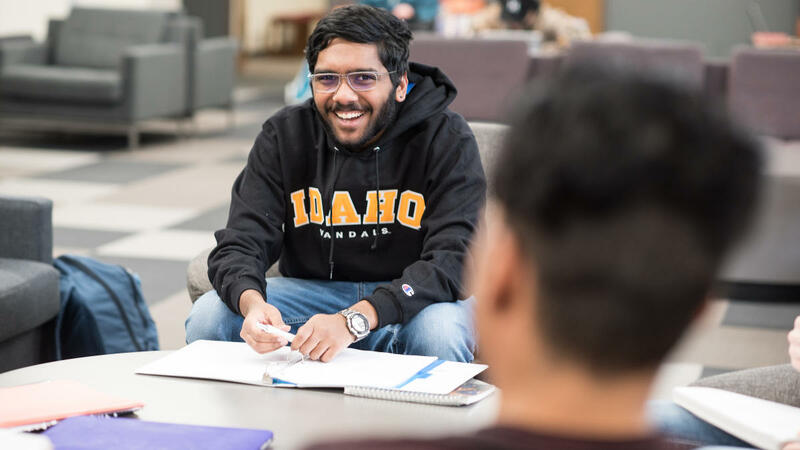 The best part about the residence hall study spaces is that there’s a schedule for academic coaching (kind of like a tutor, but they help with more than just one subject) and study sessions with academic peer mentors who’ve taken the same classes and can help you with the harder stuff. If you live in a house with other individuals, you can study with them, share course knowledge or get help. Each fraternity or sorority house has a study table in the dining room or other area set aside just for studying. The Steel House Women’s Cooperative also has multiple quiet study spaces. There’s a secret study spot in every building. But that’s the thing, they’re secret. Get brave and explore your college’s lower floors (hint: many of the basement levels are amazing). You may find a quiet nook, study rooms, small computer labs or benches that are just far enough out of the way. Or, in the larger buildings, travel to the top floors. You might be amazed with the spaces you’ll find. The University of Idaho Library has it all. 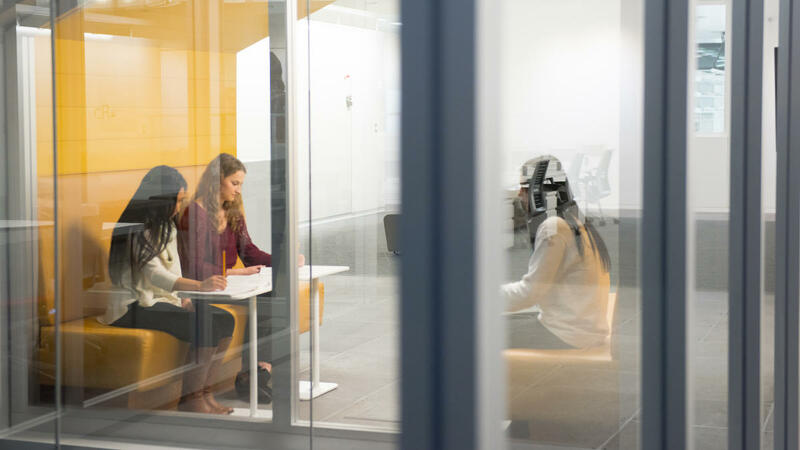 The fourth floor is a silent floor — don’t bother with your cell phone or study group, this floor has rules — and is great for when you need absolute quiet to concentrate. The third and second floors have group study rooms and single-human study pods (a seat, a light and a desk) so you can get the work done without visual distractions. You’ll find drop-in tutoring on the second floor as well. The first floor has both group and individual study areas, whiteboards on wheels, the MILL (which isn’t really for studying, but it’s for learning, so it counts), people to help you, a computer lab, comfy couches and so many study pods. The Library also has The Fish Bowl, which is part study space, part cafe and totally awesome. You can use the Library 24 hours a day, with just a few exceptions in building hours.